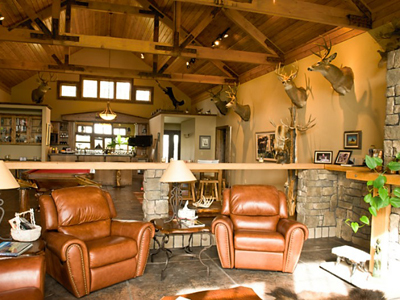 Twin Creek Ranch believes in quality not quantity. We only take a limited number of hunters every year to insure that the quality of the hunt is the same at the end of the season as it is in the beginning of the season. We have developed some of the best wild bird habitat. And we have a beautiful lodge to go along with it. Step out of the front door and you are in the mist of great hunting. 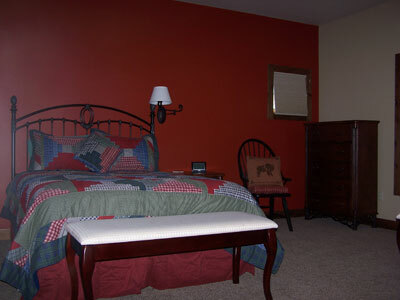 Each room in the lodge is designed for comfort with queen beds, private baths, reading lights and chairs. Enjoy a superb meal in out dining area. Have a drink at the bar. 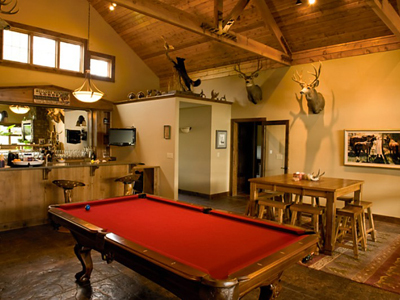 Relax in the recreation room, watch TV, read, books provided, or play a game of pool. Enjoy TC hors d'oeuvres made fresh daily before dinner, like our salmon-capers-eggs-onion dip, wild duck fillets, and pheasant fingers. Main meals include antelope or elk steaks, venison meatloaf or our own raised BBQ chicken, lamb chops, prime beef raised for us. Our special recipe for pheasant will leave you asking for more. Did we also mention that we have our own fresh eggs for omelets and honey for biscuits? We also have a great recipe for the best pancakes. 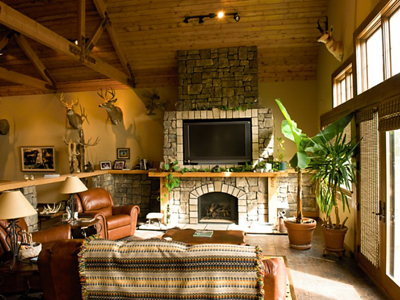 We know you come for the hunting, but as our past guest attest to, when you have great lodging, food and hunting, you have it all. That's Twin Creek Ranch. 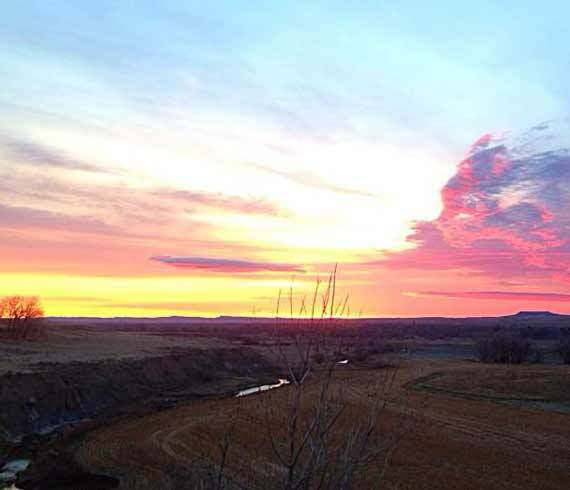 By the way, take some time before and after to see central Montana. Ride the Charlie Russell train when in season. See where Charlie Russell worked and painted, or visit the Russell Museum in Great Falls. Visit the great falls, named by Lewis and Clark. Explore the Yogo sapphire mines at Utica. Go trout fishing on Spring Creek or some of our other great trout streams. For further assistance call our travel agent.